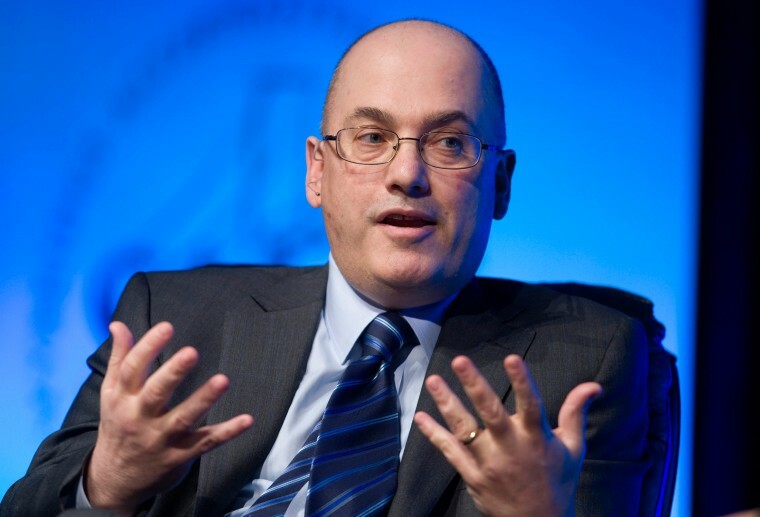 NEW YORK -- Billionaire Steven A. Cohen's former hedge fund SAC Capital Advisors LP has agreed to pay $10 million to resolve a lawsuit by shareholders of drugmaker Wyeth, who claimed they lost money because the fund engaged in insider trading in Wyeth's stock. The proposed settlement was disclosed in court papers filed on Wednesday in federal court in Manhattan and would resolve a class action launched following the arrest of a former SAC Capital portfolio manager, Mathew Martoma, for insider trading. Martoma was sentenced in 2014 to nine years in prison after being convicted of engaging in insider trading based on confidential results of a clinical trial of an Alzheimer's drug being developed by Elan Corp and Wyeth. Prosecutors said the trades enabled SAC Capital to make $275 million, making it the most lucrative insider trading case ever charged in the United States. The $10 million class-action accord, which requires court approval, follows earlier deals with U.S. authorities in which SAC Capital agreed to pay $1.8 billion and plead guilty following investigations into insider trading by its employees. Those accords included a $602 million settlement with the U.S. Securities and Exchange Commission by an SAC Capital unit resolving claims related to insider trading in Elan and Wyeth. Elan and Wyeth are now part of Perrigo Co. Plc and Pfizer Inc., respectively. City of Birmingham Retirement and Relief System and KBC Asset Management NV served as lead plaintiff in the Wyeth class action, which was filed in 2013 and sought to recover investor losses from the defendants, who included Cohen himself. A separate case by Elan investors remains pending. SAC Capital has been in run-off mode, and Cohen's fortune is now traded through his family office, Point72 Asset Management. "We are pleased to have resolved the Wyeth matter and are prepared to vigorously contest the remaining class action," Point72 spokesman Mark Herr said. In total, six ex-SAC Capital employees have been convicted of insider trading. Prosecutors in October dropped charges against two others, including Michael Steinberg, who was convicted in 2013 and sentenced to 3-1/2 years in prison. Cohen was never criminally charged. But the SEC filed an administrative action against him in 2013 for failing to supervise Martoma and Steinberg. The SEC on Monday said that given the dismissal of charges against Steinberg, it would pursue a narrower case against Cohen over his supervision of Martoma. Trial is scheduled for April 11.